Both Australia and Pakistan eye winning start to the series. 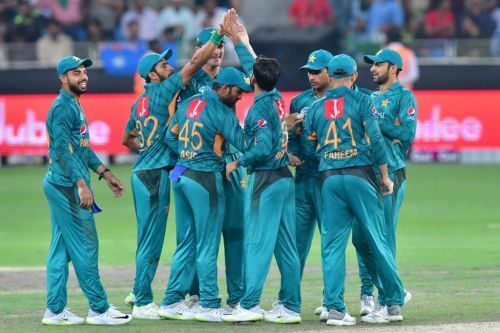 After bamboozling India in their own den, an upbeat Australia will aim to continue the successful Asian run over Pakistan, when they face the mighty hosts in the opening game of the five-match ODI series on Friday, March 22 at the Sharjah Cricket Association Stadium in Sharjah. The Qantas and the Greens have faced each other in your 95 completed ODI matches. The Kangaroos undoubtedly dominates the head to head scoreline by securing 62 wins out of those, while the Asians have managed to keep the honors on 32 occasions, with one fixture ending in a tie. In the six ODI games played at the Sharjah Cricket Stadium, both Pakistan and Australia have shared the honors on three occasions. However, the visitors have clinched the last three games on the trot, which gives them a genuine advantage ahead of the clash. Australia bank on momentum against Pakistan. The upbeat Kangaroos possesses a good record at this venue and are coming on the back of a tremendous show against India. 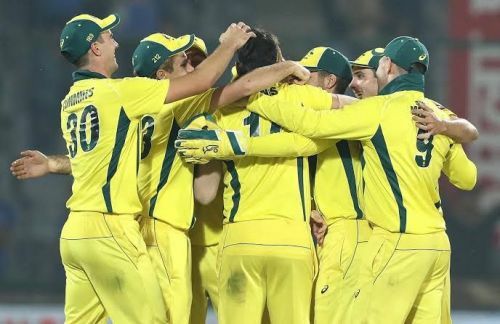 After being reduced in the series at 0-2, the Aussies came back strongly to secure the series by a 3-2 margin, and this will certainly boost their confidence ahead of the series opener against Pakistan. Usman Khawaja led the Kangaroos to their maiden series title after two years. The opening batsman was in terrific touch against India and scored 383 runs comprising two centuries and two fifties in his five outings. Khawaja will once again be their key batsman in the upcoming fixtures and is likely to cause the major problem for the Pakistani bowlers. While Aaron Finch also showed some cues of revival and the skipper will be desperate to make a statement with a considerable contribution. In case of a top-order failure, the team boasts good middle order firepower with the likes of Glenn Maxwell and Marcus Stoinis. Both can score runs at a brisk rate and can cause a major setback for the opponents, if not dismissed early. Pat Cummins and Adam Zampa finished as the teams leading wicket-takers against India with 14 and 11 wickets respectively to keep the Blues in check and the skipper will need them to post a similar show here. Aaron Finch (C), Peter Handscomb, Glenn Maxwell, Marcus Stoinis, Usman Khawaja, Ashton Turner, Alex Carey (W), Jhye Richardson, Pat Cummins, Nathan Lyon, and Adam Zampa. Shoaib Malik will lead a relatively inexperienced squad against Australia. On the flipside, Pakistan are coming on the back of a 3-2 series defeat against South Africa and will aim for a resurgence in the opening clash. Meanwhile, the hosts have made some big decisions ahead of the series by resting as many as six key players, which underlines their strategy to check their bench strength ahead of the CWC 2019. Although, the hosts have won four of their previous five clashes at Sharjah and their recent record at Sharjah will certainly help them garner some much-needed confidence ahead of the clash. In the absence of Fakhar Zaman and Babar Azam, Pakistan's batting will rely mostly on Imam-ul-Haq, Umar Akmal and skipper Shoaib Malik. Imam was the team's best performer against the Proteas by scoring 271 runs. While Umar Akmal, who has been given another chance on the basis of his good performance in the domestic circuit, will be eager to prove his worth in the squad. 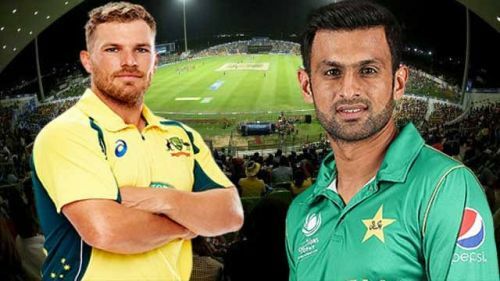 Except for these two, stand-in skipper Shoaib Malik will be the teams key in the middle order and will be expected to play a captain's knock against the buoyant Aussies. When it comes to bowling, Usman Shinwari, Imad Wasim and Yasir Shah will be the skipper's go to men against the Aussies. Where Shinwari will lead the pace attack and is expected to clinch few early breakth, Wasim and Yasir will look to exploit the Kangaroos weakness against the spin. Shoaib Malik (C), Mohammad Rizwan (W), Imad Wasim, Yasir Shah, Mohammad Amir, Junaid Khan, Usman Shinwari, Imam-ul-Haq, Umar Akmal, Abid Ali and Saad Ali.